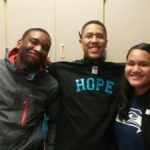 Kidz Express Cross-Age Peer mentoring program goals include increasing academic achievement, enrollment in post high school education, rates of mainstream employment, and career readiness among its mentors. The program builds strong relationships between an older youth, usually a high school or college student, and younger children. 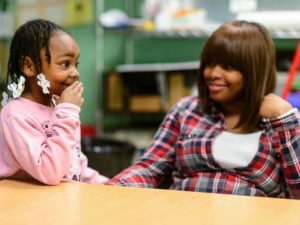 Cross-age peer mentors are strong role models for younger participants, demonstrating that challenges and difficulties of their urban environment can be overcome. 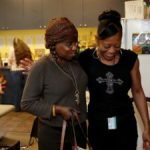 The program hires mentors from the same neighborhood as the participants who have successfully overcome many of the same issues and challenges the participants face.